The package “Rarity”, which allows calculating rarity indices for species and assemblages of species, is now available on the Comprehensive R Archive Network. This package allows easy calculation of the new indices integrating rarity cut-offs; this flexibility allows fitting indices to the considered taxon, geographical area and/or spatial scale, i.e., to the considered database. See the rarity indices section for more details and examples. 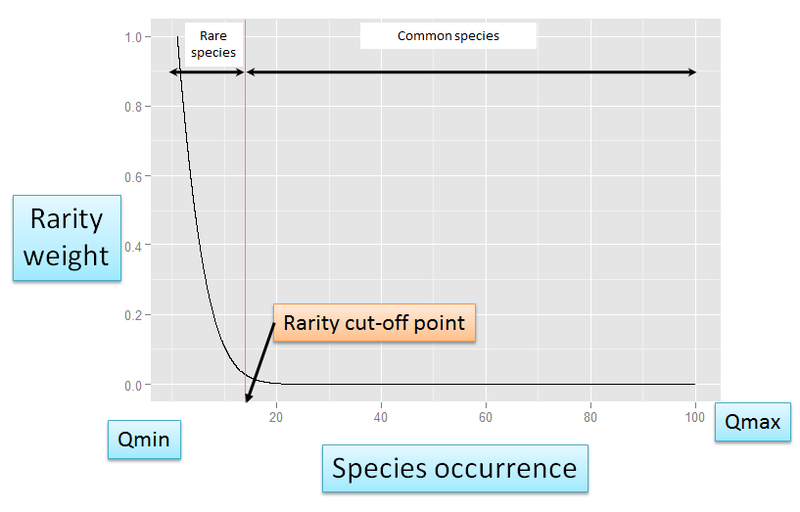 rWeights – This function allows for calculating rarity weights for species with respect to the chosen rarity cut-off point. Multiscale rarity weights can also be calculated with this function. Classical weighting methods (e.g., the inverse of occurrence) can also be calculated with this function. Irr – This function allows calculating rarity indices for assemblages of species, on the basis of the calculated rarity weights. Leroy B., Pétillon J., Gallon R., Canard A. & Ysnel F. 2012. Improving occurrence-based rarity metrics in conservation studies by including multiple rarity cut-offs. Insect Conservation and Diversity 5:159-168.